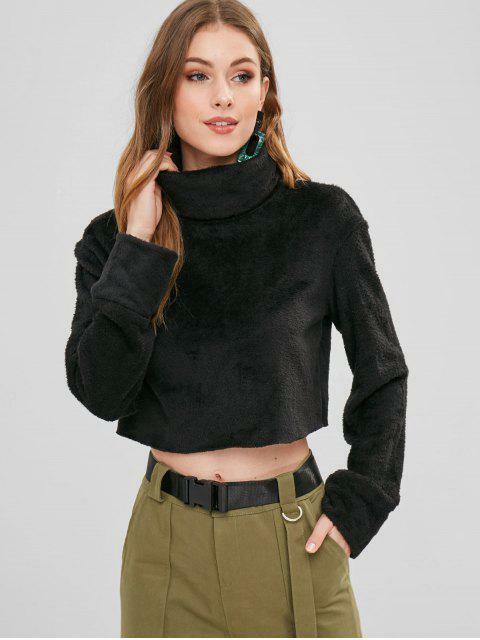 [41% OFF] 2019 ZAFUL Turtleneck Crop Faux Fur Sweatshirt In BLACK | ZAFUL ..
fluffy and warm material, i got a medium to make sure it was baggy so I could wear as a jumper. is pretty cropped, sits above where high waist bottoms would sit. Super cute and comfortable - It's a bit short though and the same length all around so it rides up in the back and my bra is visible sometimes. I would say layer, but the material is very warm. Recommend wearing when it's cold.